James Brooks Marleen Brooks visits Wanda Mills in the nursing home where she moved recently. Brooks befriended Mills after receiving a letter from her. As Brooks read the letter, her eyes teared up. Her own grandmother, who had raised her, had died alone in hospice, which still bothered her. The letter-writer, Wanda Mills, had left an address – a house across the street and a couple of doors down. “I literally, honestly didn't know anybody lived there,” said Brooks, who has lived on the street for a year and a half. “She was excited that we came over there, and we sat and talked for about an hour,” Brooks recalled. 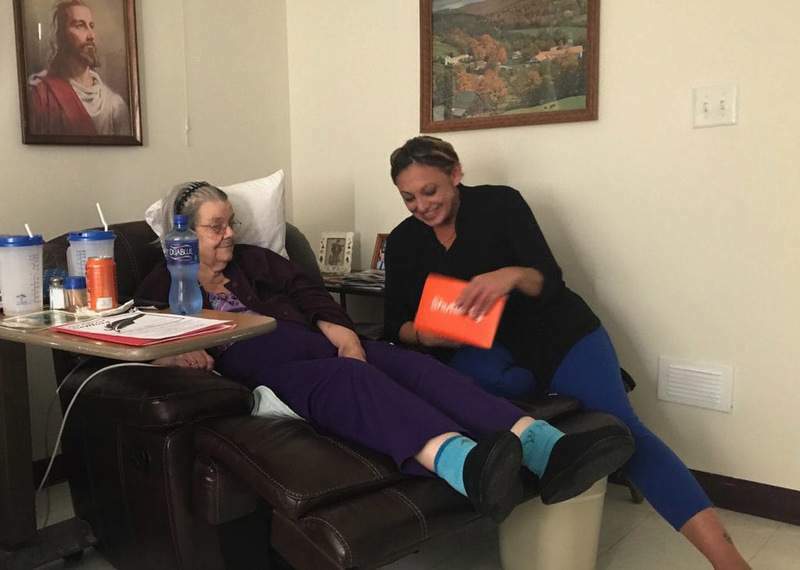 Mills, who has trouble walking and uses oxygen, told her that she hadn't left her house in seven years and relies on caregivers who come daily. But they weren't the same as having friends. Mills had lived in the house for 51 years. Her husband and sister had died, as had one of her sons. Another son lived out of state. It turned out that a third son lived next door but didn't visit often, she told Brooks. Another member, D'Linda Wallace of Munsing, Michigan, said that in the store where she works, older customers often want to linger and talk. Seeing Mills' letter on Facebook made her wonder how many of them may suffer from loneliness and isolation.